Lamborghini today finally launched its most-anticipated cars for 2018 in India – the Urus Super SUV. Priced at ₹ 3 crore (ex-showroom, Delhi), this is the first SUV from the Italian carmaker since the LM002, which was in production between 1986 to 1993. At this price what you get are – the bragging rights to own the world’s fastest SUV, which can accommodate 5 passengers, comes with a boot space of 616 litres, and a host of sporty functions like – adaptive air suspension, active damping, four-wheel drive and four-wheel steering among others. Sadly though if you are planning to get one today you will have to wait till early 2019 before you can get your hands on the car, because Lamborghini India has sold out all the Urus SUV allotted for 2018, in India. Currently, Lamborghini has showrooms in three cities across India – Delhi, Mumbai, and Bengaluru. While the Italian hasn’t revealed any number, the Mumbai dealer is said to have been allotted about 10-12 units of the Urus for 2018 and all of them have been sold out. 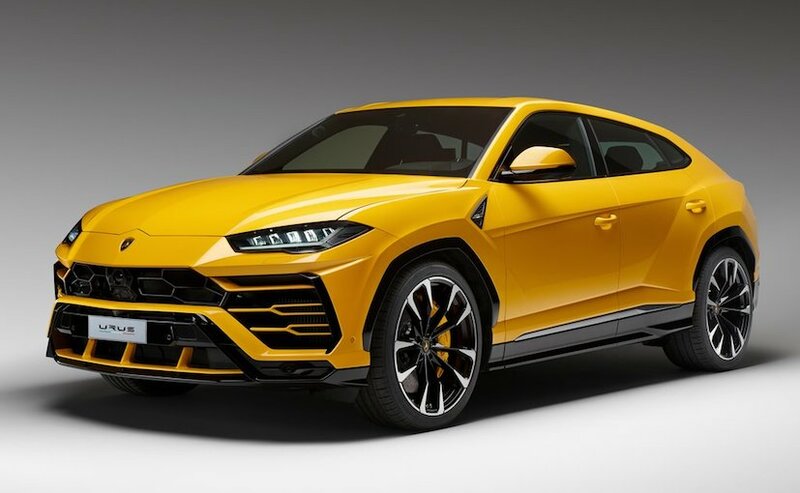 Having said that you can still book the new Lamborghini Urus today, but, as mentioned earlier, you will get the delivery only in 2019. The Lamborghini Urus is powered by a new 4.0-litre V8 twin-turbo engine, a first turbo in the automaker’s history. The turbocharged engine produces about 641 bhp and develops a massive 850 Nm of peak torque, while the motor comes mated to an 8-speed automatic transmission. The SUV also comes with a central torsion differential 4 Wheel Drive with torque vectoring rear differential. As for performance figures, the Lamborghini Urus goes from 0-100 kmph in 3.6-seconds before the top speed of 305 kmph. The Lamborghini Urus also comes with immense braking power thanks to the special Carboceramics Disc Brakes, which allow the car to decelerate from 100-0 kmph within 33.7 metres.